Obviously yesterday was incredible! From the tailgate to the game (if you want to call it a game), it was one of the coolest experiences we’ve ever had. 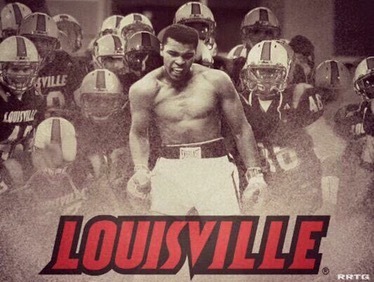 Louisville did a great job all around and especially with the entrance video for the football team. Honestly it’s one of the best, if not the best, we’ve ever seen in all our years of attending Louisville football games. The way they incorporated Ali was just awesome. For those of you who haven’t seen it, be prepared to be blown away.